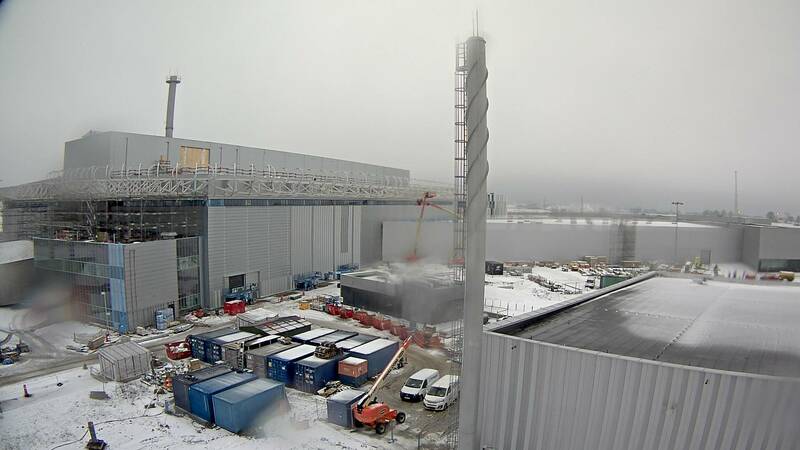 There are four construction site webcams, updated at 10-minute intervals. Looking north to the Target Station (centre, D02), long-range instrument hall and labs (left, E-buildings) and Accelerator Tunnel (right, G01). 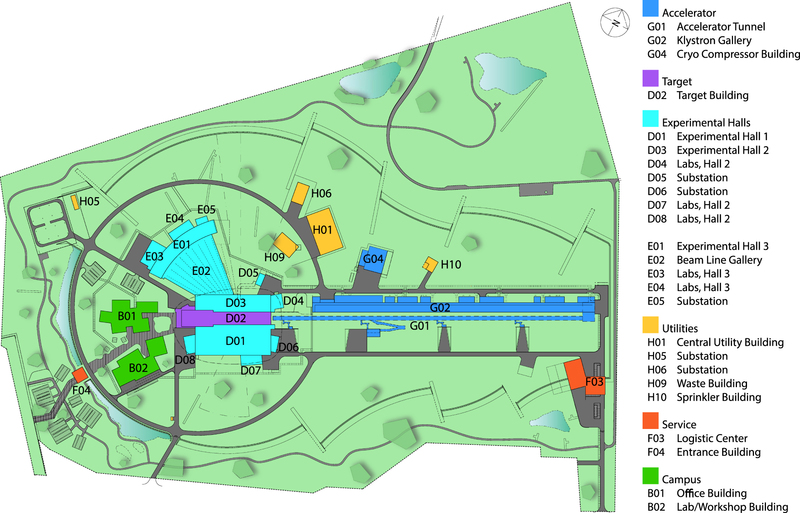 The large D01 instrument hall will begin to take shape in the foreground during 2019 [sitemap]. Looking west over the site of the Campus Building project (B01, B02 and F04) [sitemap]. Looking west from the ESS office to the Target Station (D02) and long-range instrument halls and labs (E-buildings). The connection between the Accelerator Tunnel (G01) and the Target Monolith can be seen at the centre [sitemap]. Looking north from the top of the ESS office. 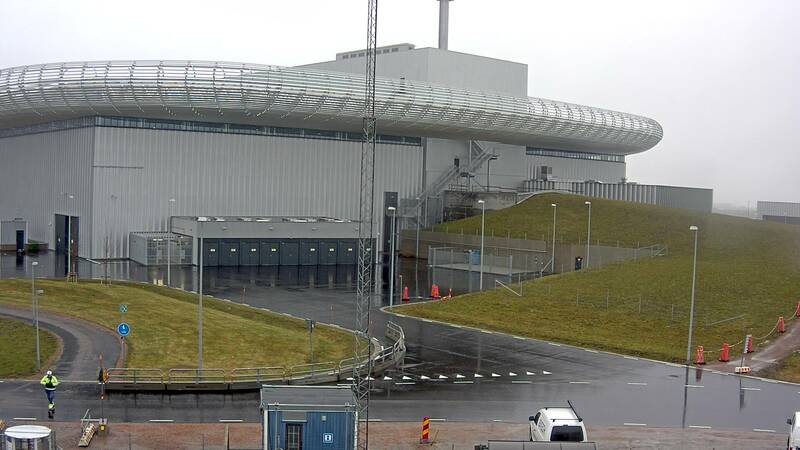 The service entrance to the Accelerator Tunnel (G01), the HEBT Loading Bay building, is in the foreground. 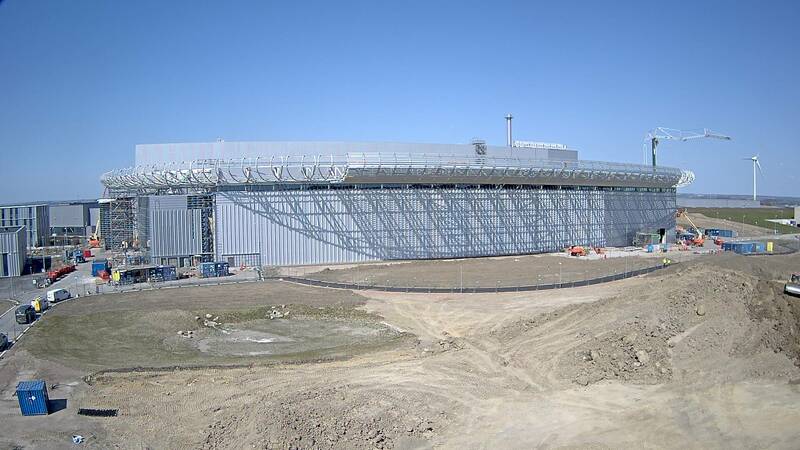 The top of the Coldbox Hall is at the left. The sloped earth covering the tunnel and the Gallery Building (G02) Green roof are visible [sitemap].